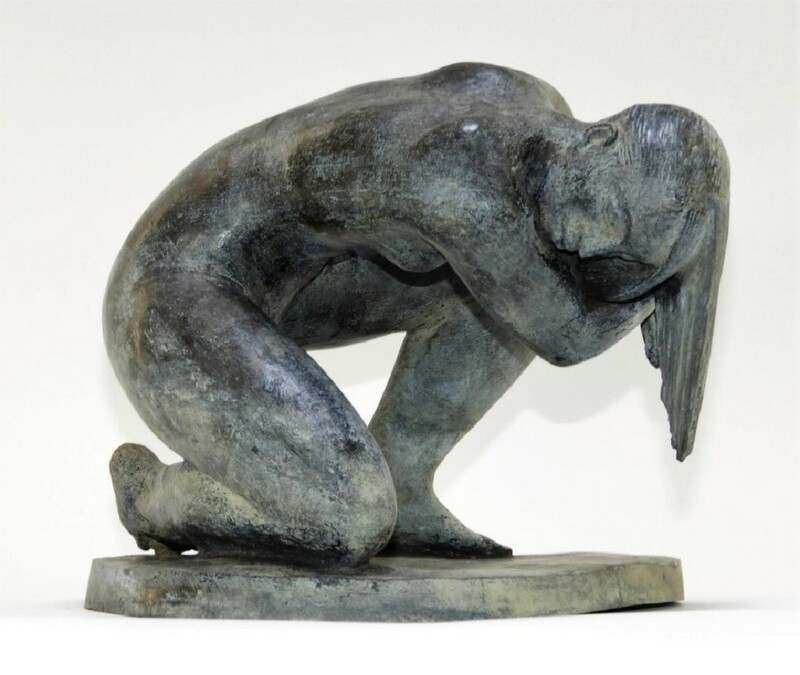 Enrique Alferez sculpture, $13,750, Bruneau & Co.
A bronze sculpture by Mexican-born realist Enrique Alferez (La./Tex., 1901-1999), titled The Bather (1983), 8 ¼ inches tall, sold for $13,750 at a Winter Antiques & Fine Arts Auction held January 6th by Bruneau & Co. Auctioneers in Cranston, R.I. Also, an oil on canvas still life table-top painting of fruit by Robert Spear Dunning (Mass., 1829-1905) realized $3,438; a Black Forest shelf rose to $6,875; a Charles Wilder barometer made $2,074; and a Chinese Ming vase brought $3,438. Prices include the buyer’s premium. 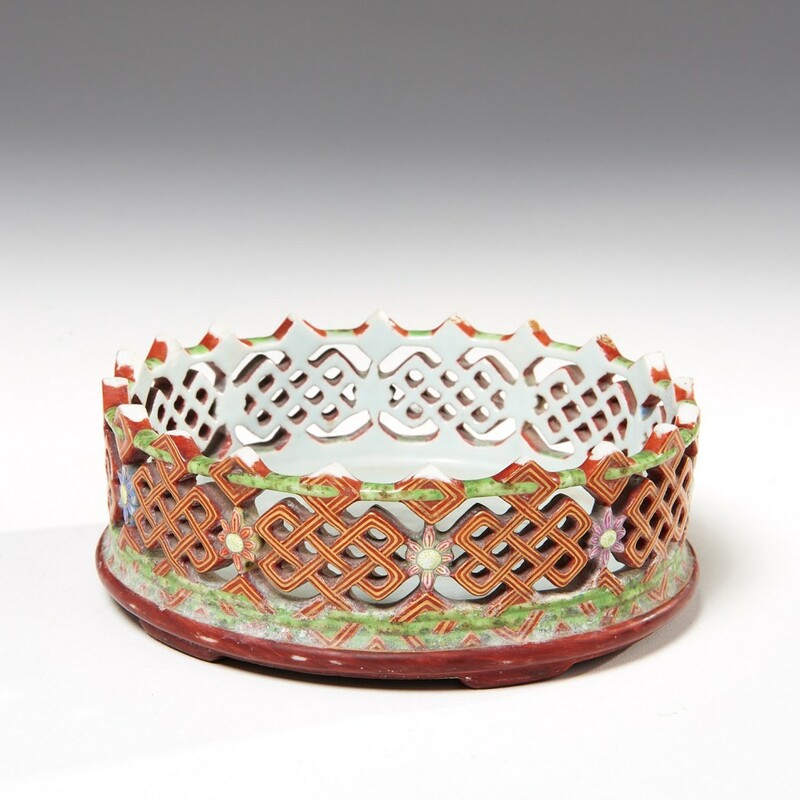 An Imperial Chinese Qing dynasty porcelain reticulated stand sold for $100,000 at an auction held Dec. 7-9 by Millea Brothers in Boonton, N.J. Also, a gold-mounted violin bow, attributed to Dominique Peccatte, circa 1845, realized $90,625; a Chinese Qing dynasty carved red lacquer chest breezed to $38,750; a Tiffany “Spider” table lamp lit up the room for $35,000; and a pale celadon jade moon flask carved with low relief scenes of blossoming trees gaveled for $32,500. Prices include the 25 percent buyer’s premium. 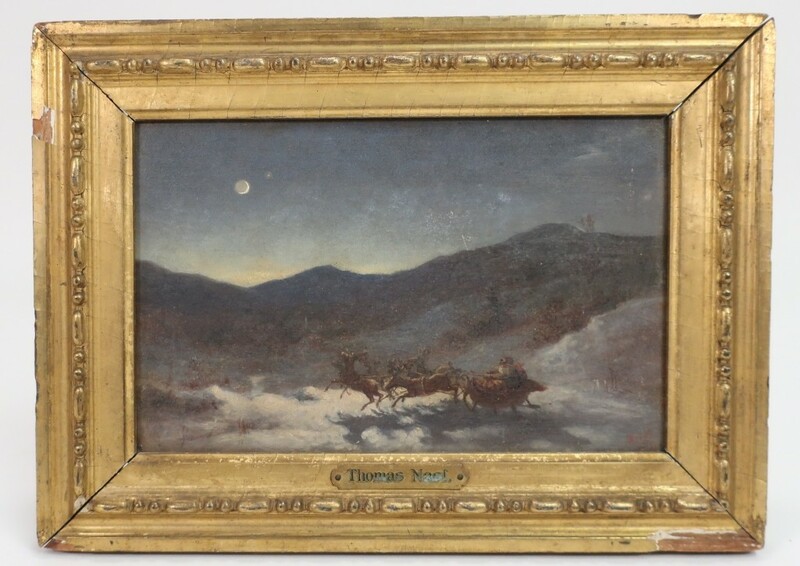 A painting done around 1866 by Thomas Nast, titled Santa Claus’s Northstar’s Evening Ride, sold for $10,625 at an annual Thanksgiving weekend sale held Nov. 24-25 by Litchfield County Auctions in Litchfield, Conn. Also, a ceramic sculpture of three figures by Joy Brown finished at $10,000 (a new auction record for the artist); a 1920s hand-painted ceramic Budai (Happy) Buddha with original carved wood stand made $7,813; and an 18kt gold Cartier ladies’ watch hit $3,750. Prices include the buyer’s premium. A Squire Lee Federal tall case clock chimed on time for $3,960 at a Manuscript, Fine Art & Americana Auction held December 2nd by EstateofMind Auctioneer in Middletown, N.Y. Also, a manuscript offering of Preston surveys (including two Stockport maps with section, block and lot) fetched $3,000; a French gilt cartel wall clock rose to $2,400; a Chinese Ming dynasty blue and white vase mounted as a lamp realized $6,250; and a pair of KPM Berlin vases each sold for $2,000. Prices include the buyer’s premium. 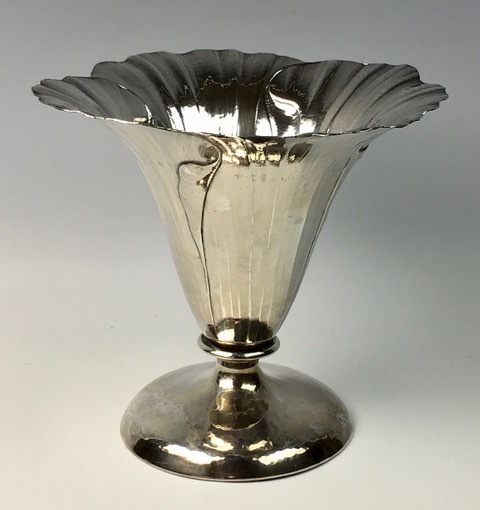 A silver Poppy blossom vase by Clemens Friedell (1872-1973), 17 ½ inches tall and made from handwrought silver, sold for $10,000 at an Antiques & Decorative Arts Auction held December 3rd by Treasureseeker Auctions in Pasadena, Calif. Also, a signed Goldscheider lamp depicting three captured bird girls brought $5,625; a singing bird box shaped like a turtle finished at $5,000; and a table lamp with 23-inch shade attributed to Duffner & Kimberly, circa 1920, went for $5,000. Prices include the buyer’s premium.